Thank you for all that you do for our children's vision! One of the biggest challenges in treating vision problems in young children is compliance. There are a lot of reasons why children who are prescribed glasses don't wear them: from comfort issues, to the child not understanding why they need to wear them, to parents not enforcing the use of their glasses. 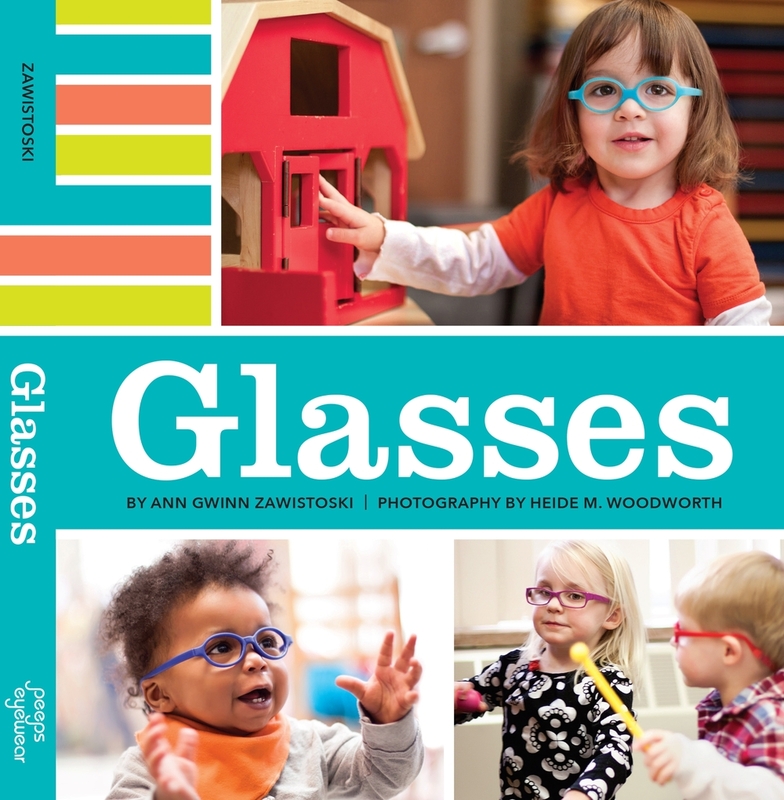 Glasses is a board book designed to help young children in glasses feel less alone, and to help them understand the role their glasses can play in their lives. The book is also intended to help parents of young children in glasses see how glasses do not detract from a child's beauty. It would be a perfect book for a waiting room, or for parents to pick up to give their child when they first get glasses. Another aspect of this project is raising awareness of vision issues in very young children. Discussions and publicity around the project will help bring focus to the importance of early detection and treatment of vision issues. The book is now available to order - click on "Order the Book" at the top of the page. Contact us if you're interested in becoming a reseller of the book. Thank you for your support! Our Kickstarter was successfully funded Nov. 26, 2013, and the book was published in June 2014!